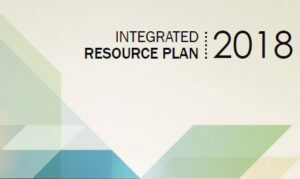 Read the draft plan and make comments at NPPD’s website. This entry was posted in Nebraska / Midwest News, NewsBlog and tagged Energy Storage News, Nebraska Public Power District survey, Nebraskans for Solar, NPPD's Draft Integrated Resource Plan 2018, renewable energy news on September 20, 2017 by Helen Deffenbacher. One of the world’s favorite candy companies, M&M’s, has launched a new campaign called Fans of Wind energy in an effort to inform consumers of the value of renewable energy and its importance in counteracting climate change. “People sure do love M&M’s,” says the company on the front page of its new Fans of Wind campaign page. “That’s why we make a ton of ‘em. But we’re not just about making treats that everyone loves — we want to make them in a way that is sustainable and treats the planet better. Guess that’s what makes us such big fans of renewable wind energy.” Read more here. “Corporates have their own definition of value,” says Steve Vavrik of Apex Clean Energy. Small Iowa city launches municipalization study, Public Power Daily, American Public Power Association Blog. A small Iowa city is launching a study to gauge the feasibility of parting company with its nearly century-old power supplier, investor-owned Alliant Energy, and forming a local public power electric utility. This entry was posted in NewsBlog and tagged corporate clean energy purchasing, corporations sustainability goals, M&M's Fans of Wind Campaign, RE100 on September 18, 2017 by Helen Deffenbacher. Columbus, Neb. 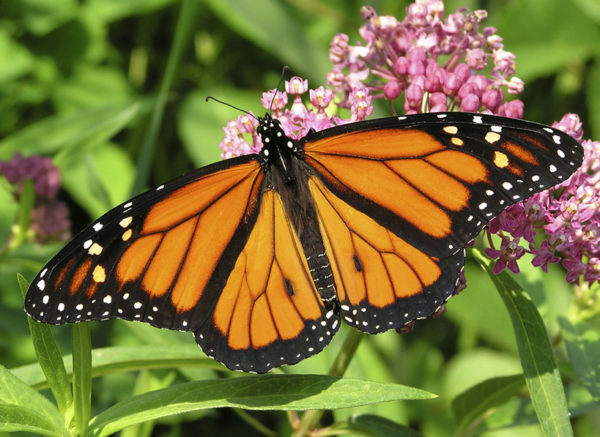 – Nearly two years ago the Save Our Monarchs Foundation and Nebraska Public Power District teamed up on a project to enhance the declining population of the endangered Monarch butterfly. NPPD provided 50 acres of land near its Beatrice Power Station to raise milkweeds and other native flowering plants in an effort to help that population grow. With the support from a recent financial grant from the Nebraska Environmental Trust, the Save Our Monarchs Foundation (SOM) is working with NPPD to utilize three new locations this year. From Sept. 16-19 SOM will be planting several hundred native milkweed and other wildflowers provided by the Prairie Plains Resource Institute on land adjoining Cooper Nuclear Station near Brownville, Neb. Continue reading. Contact for Save Our Monarchs Foundation: Randall Gilbert 402-646-9025 or via email at randalljgilbert@gmail.com. This entry was posted in Nebraska / Midwest News, NewsBlog and tagged Nebraska Public Power District (NPPD), Prairie Plains Resource Instutute, Save Our Monarchs Foundation on September 17, 2017 by Helen Deffenbacher. Windy states like Kansas are particularly well situated to benefit from the declining costs of wind energy. 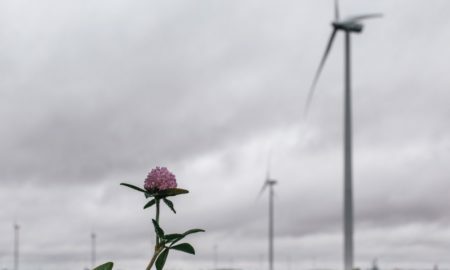 A March report from Moody’s Investors Service found that in the 15 states with the best wind resources, new wind generation now costs significantly less than existing coal-fired power plants. Kansas is among those windy states, along with the four states where Tri-State sells electricity: Colorado, New Mexico, Wyoming, and Nebraska. Read more here. 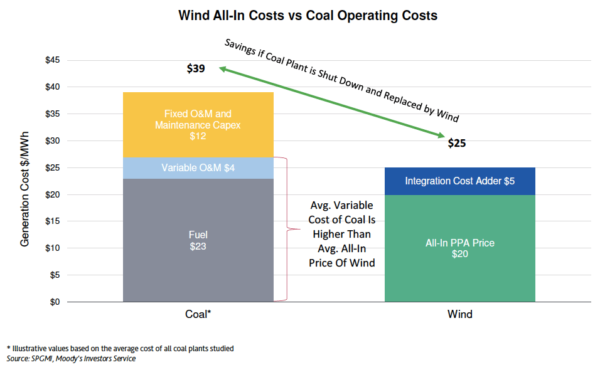 This entry was posted in Nebraska / Midwest News, NewsBlog and tagged costs of wind versus coal, Midwest wind energy development, Moody's Investors Service, Tri-State on September 17, 2017 by Helen Deffenbacher. OTOC’s Environmental Sustainability Action Team (ESAT) is committed to educating and promoting solutions to climate change. At the September 11, 2017 OTOC Steering Committee Meeting, ESAT presented the Citizens’ Climate Lobby plan for reducing CO2 emissions. It is a plan for federal legislation termed Carbon Fee and Dividend. The Steering Committee came to a consensus to endorse the plan as a way to reduce CO2 emissions and their harmful effect on the climate. As a method of transitioning consumers away from carbon fossil fuels and toward sustainable energy sources, the Carbon Fee and Dividend plan puts a fee on fossil fuels at their source, i.e., mine, well or port. The fees will then be passed on to the consumers of products that fossil fuels affect. The collected fees will be divided equally and a monthly dividend will be sent to each household in the country. Thus, households that have spent less on fossil fuel products will receive the same dividend as those households that have spent more on these fossil fuels. Household members may spend the dividend in any manner. This is a market based approach to move our economy away from a reliance on carbon based fossil fuels and towards renewable and cleaner energies. ESAT wants to help educate our community and has training materials prepared, so if your church or institution would like to learn more about the Carbon Fee and Dividend Plan, contact Mary Ruth Stegman at maryruth@cox.net. Also visit the Citizens’ Climate Lobby website to learn more about their campaign. This entry was posted in Nebraska / Midwest News, NewsBlog and tagged CCL's Carbon Fee & Dividend Plan, Citizens Climate Lobby (CCL), Nebraska CCL Chapters, Omaha Together One Community (OTOC), OTOC’s Environmental Sustainability Action Team (ESAT) on September 16, 2017 by Helen Deffenbacher. The Golden Triangle, first presented in 1988, symbolizes the core principles of the Farmers Union: education, cooperation, and legislation. 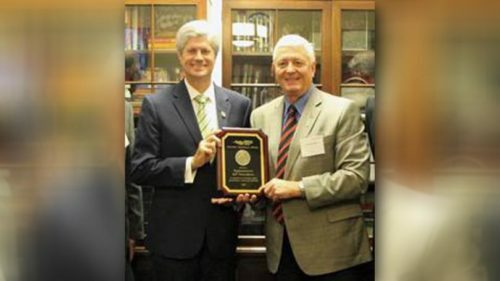 “We appreciate Representative Fortenberry’s continued leadership on renewable energy, conservation, rural development, and a wide range family farm and ranch issues that support farm and ranch families and their rural communities,” said NeFU President John Hansen. This entry was posted in Nebraska / Midwest News, NewsBlog and tagged Golden Triangle Award, Nebraska Farmers Union President John Hansen, Representative Fortenberry's leadership on renewable energy, Representative Jeff Fortenberry on September 16, 2017 by Helen Deffenbacher. Top executives of Nebraska’s three largest public power utilities will be the luncheon speakers on Monday, November 13, at the Nebraska Wind and Solar Conference. Tim Burke, CEO of Omaha Public Power District, Pat Pope, CEO of Nebraska Public Power District, and Jason Fortik, Vice President of Power Supply at Lincoln Electric System will provide insight into the state of public power in Nebraska. The conference is a two-day event that brings together people from across the country united by their passion for advancing wind and solar energy. Registration is $125 until October 15. Student registration is $65. Hotel Room Block closes October 16. This entry was posted in Nebraska / Midwest News, NewsBlog and tagged Nebraska's 10th Annual Nebraska Wind & Solar Conference and Exhibition, Nebraskans for Solar on September 15, 2017 by Helen Deffenbacher. Back in June, the Gothenburg City Council voted to add another 500 kilowatts in 2018 to the city’s solar project, which the council had approved a few months before. The initial phase of that project is now well underway and expected to be completed by late October. 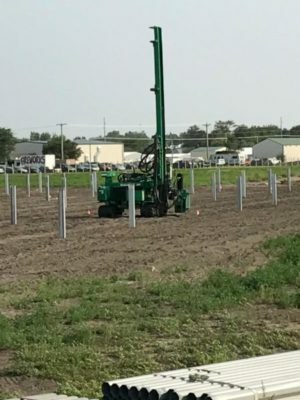 This entry was posted in Nebraska / Midwest News, NewsBlog and tagged City of Gothenburg, GenPro Energy Solutions, Gothenburg City's solar project, Nebraska Community Energy Alliance, Nebraska Environmental Trust, solar energy development in Nebraska, The Gothenburg News on September 15, 2017 by Helen Deffenbacher. 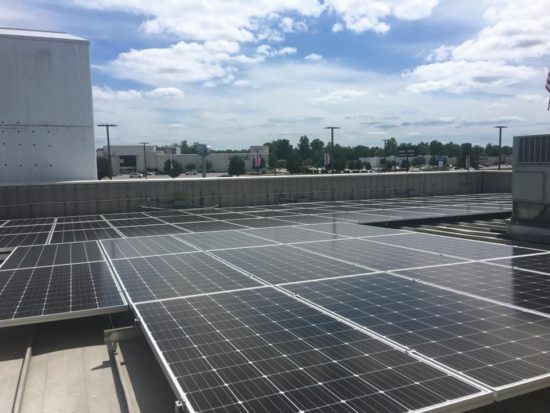 Vogler Motor Company is nearing completion of a $1 million solar project at its seven businesses throughout Southern Illinois. Dennis Rathjen, owner of Vogler, said the project is expected to pay for itself within five years. “Green energy is a big deal to a lot of people,” Dennis Rathjen said. “Going green makes sense and dollars and cents. In addition to saving money on power, the project will pay for itself.” Read more here. Photo by Vogler Motor Company: The roof of Vogler Ford in Carbondale is home to more than 700 solar panels. The entire project includes approximately 1,650 solar panels. This entry was posted in Nebraska / Midwest News, NewsBlog and tagged Nebraskans for Solar, renewable energy news on September 15, 2017 by Helen Deffenbacher.